Being in third place in an ecosystem dominated by iOS and Android is not easy, and Microsoft has been working hard to convince developers to bring their apps over to the Windows platform. However, there are still countless glaring omissions, and the store is not even close to its competitors as far as its total number of apps goes. Realizing this problem, Microsoft has been hard at work devising an intricate plan, which is to help it populate its mobile app storefront way quicker than before. Microsoft has developed a new technology will allow app developers to easily rework their Android or iOS apps so that they can work with Windows 10. In addition to being able to reuse their Java and C++ code from Android, or Objective C from iOS, developers should find it easy to integrate their new Windows projects with any needed Windows-specific extensions and services, such as Windows' Location API, the virtual keyboard, or the on-screen navigation buttons, for example. Users and developers alike should be interested to know that reworked Android apps will be running in a safe Windows security container for maximum user data safety. As a matter of fact, Microsoft has already been beta-testing this technology, noting that Candy Crush Saga developer King has utilized this new tool to bring its hit game to Windows Phone. 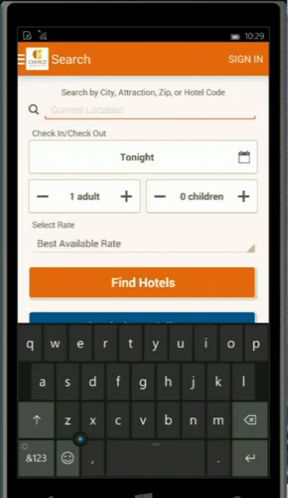 During the conference keynote, Microsoft demonstrated the Android Choice Hotels app working just fine on a Windows phone, an undertaking that allegedly took just some minor tweaks to get done. 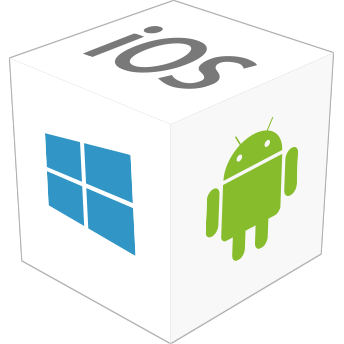 Hopefully this new technology will help Microsoft finally close the gap between its app store and its iOS and Android competitors, but the end result will still depend on whether developers adopt this new technology.